One of my favorite parts of teaching has always been when I read aloud to my students. 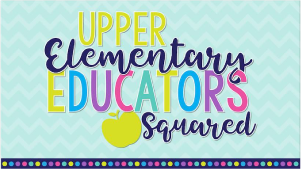 It doesn’t matter that they are fifth graders and many have the “too cool for school” attitude, they still love to be read to on a regular basis. And I love reading to them. 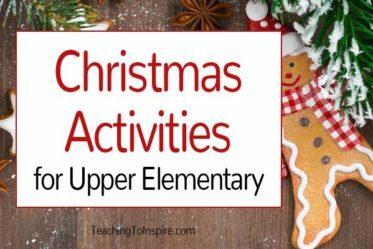 I have so many read alouds that I love, but I wanted to share my favorite Christmas read alouds for upper elementary students today. 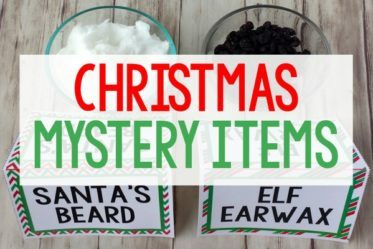 I have also created an activity to go with each read aloud to share with you. 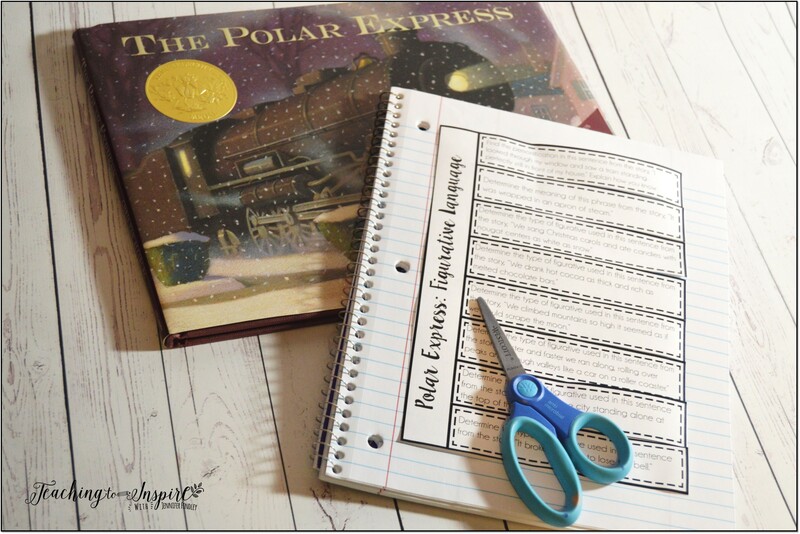 These activities would work great in a reading center after you have read the book aloud to the students. I recommend placing the book in the center with the activities for the students to use as a reference. 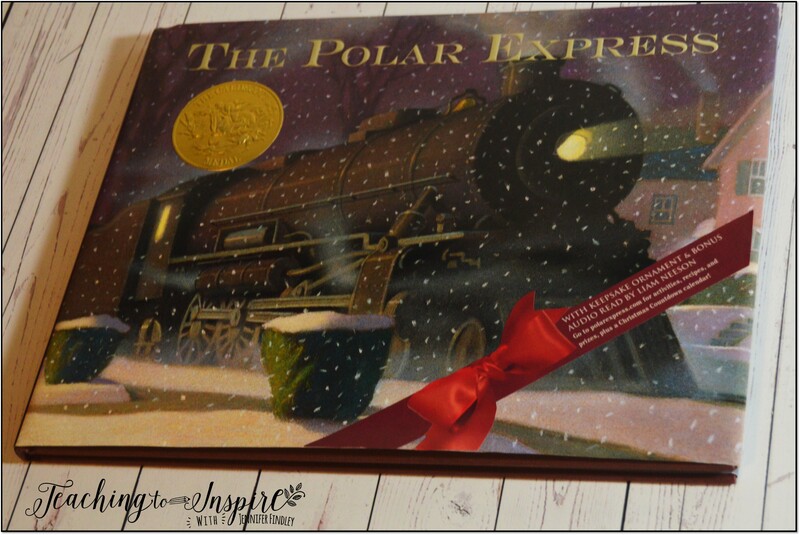 Chris Van Allsburg is a favorite author of mine so I have to include The Polar Express in my holiday read alouds. The students always love this book because they love the movie. I love this book for my fifth graders because of the examples of figurative language sprinkled throughout the book. 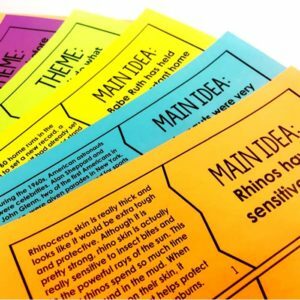 Since the book has so many examples of figurative language, I made a simple foldable with eight examples of figurative language from the book. This particular book was new to me this year. I was intrigued by the cover and the mood it conveyed, so I knew it was going to be worth checking out. I loved it! 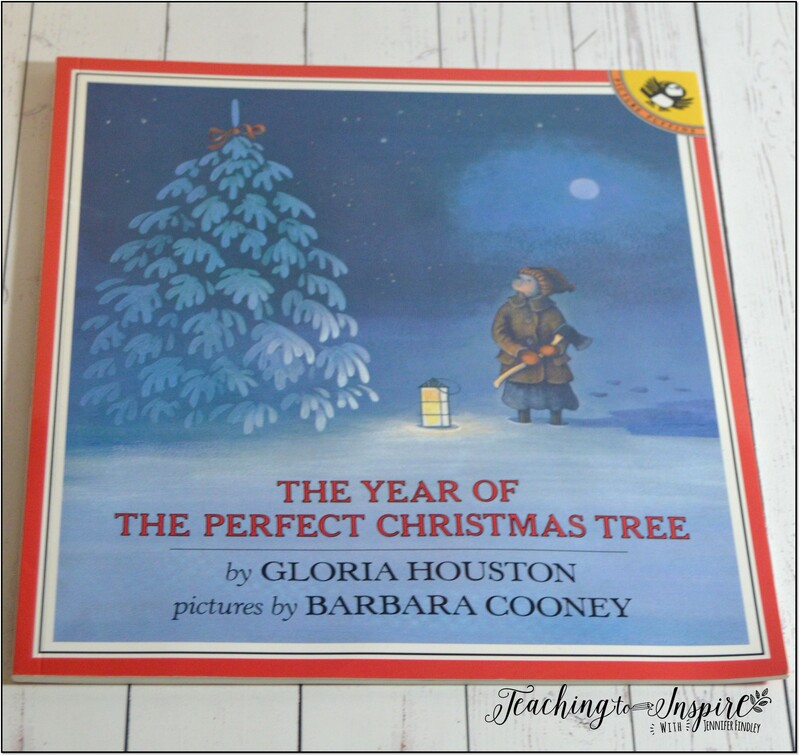 Written in a type of poetic verse, the story tells the tale of an old tree that has always wanted to be chosen by a family as a Christmas tree. However, he is just too large and is never chosen. The creatures who live in the forest decide to repay him for all he does for them by decorating him as a Christmas tree. This book was full of so much awesomeness that I could not choose just one reading focus. So, I made a set of task cards that cover a variety of fiction skills. These questions are well aligned to common core standards and will be a great review of the standards. 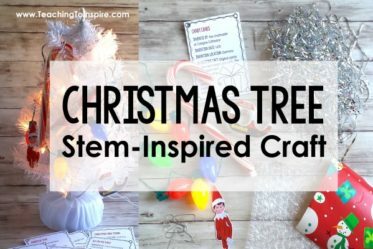 The students will love the holiday theme that they will not even realize all the good content they are reviewing and practicing. I always include this book in my holiday reading lessons because it is not one my student would normally pick up and read for themselves. Also, the story is set during World War I, which is a social studies topic in my state. The book explores a local tradition of one family providing the Christmas tree for the village. However, this year, Ruthie’s (the protagonist) father is away fighting in the war. This book is perfect for exploring how the setting of a story affects the events. This book had a lot of meat to it as well. 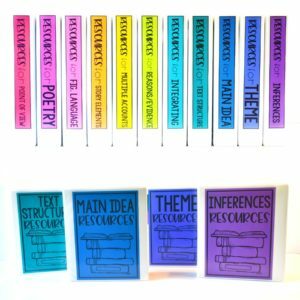 I chose four main focus themes to create printables for the students to complete. 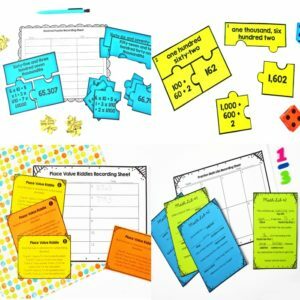 You can use all of them, allow your students to choose, or even do a collaborative jigsaw type activity with each group completing a different printable. 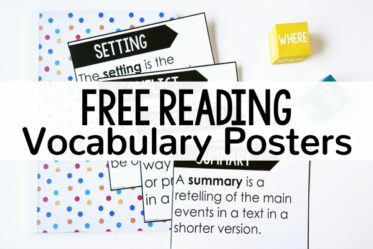 The printables review setting, point of view, comparing and contrasting, and plot. This one I always read because my own son loves it so much. 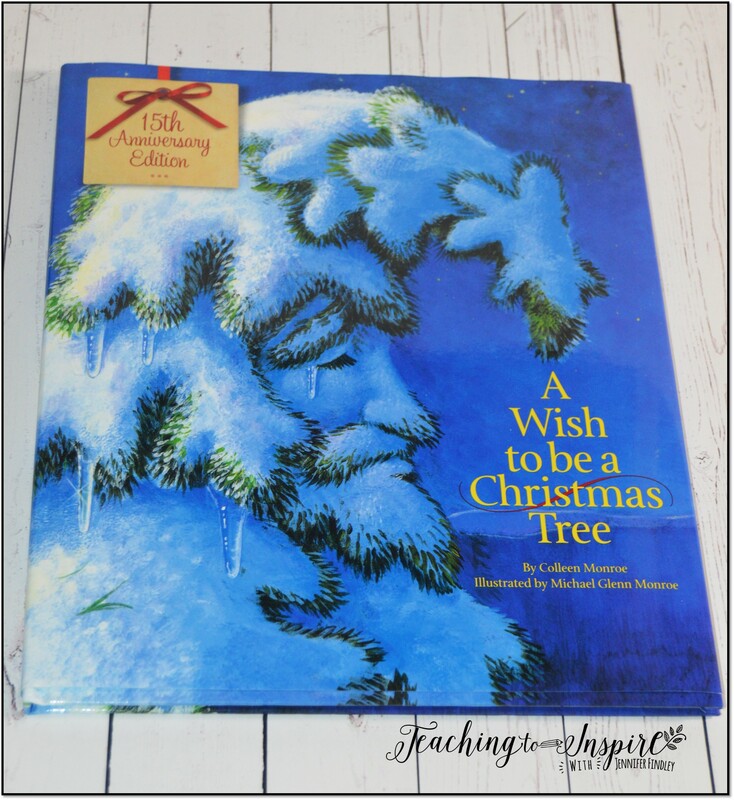 My students love reading books that I have a personal connection with and they like hearing how I read it to my son at Christmas time. 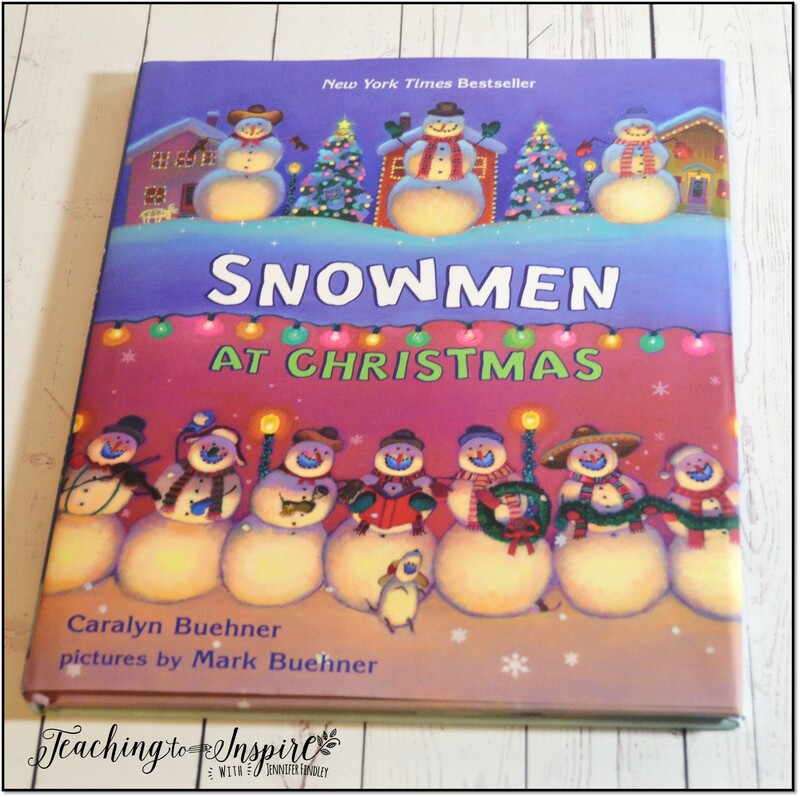 This is a cute story (a little too cute that I may not have read it when I taught in a rough, inner city school in Chattanooga) about how snowmen celebrate the holiday. 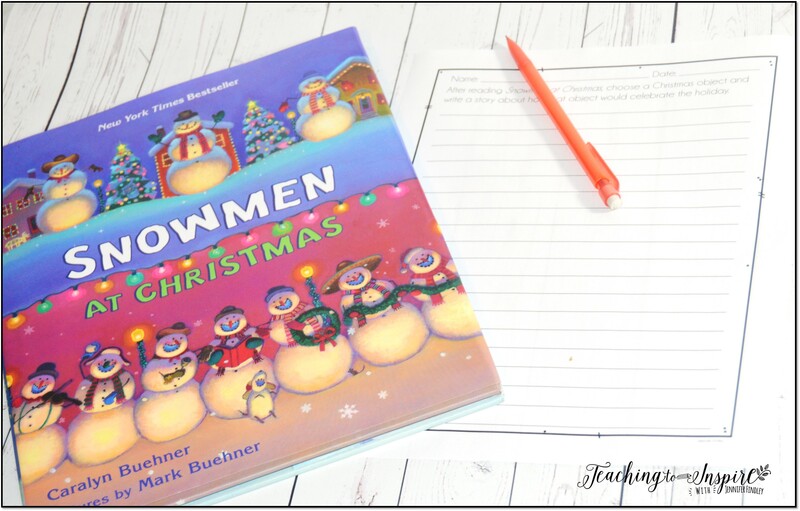 For this activity, I kept it pretty simple with a writing prompt where the students choose a holiday object to personify in the same manner the snowmen were personified in the story. 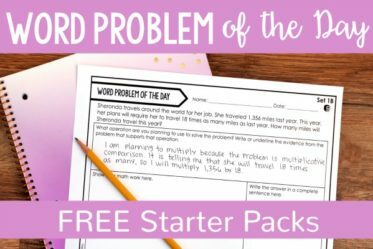 The students love this writing activity because it really allows them to be creative and use their imagination. 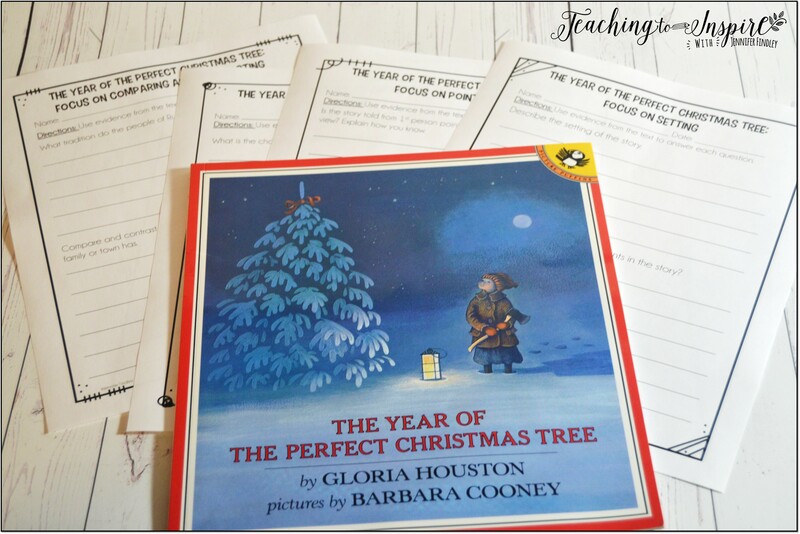 If you are looking for more Christmas literacy activities such as reading passages, themed language task cards, and writing prompts, click here to see all of my Christmas literacy activities in my TeachersPayTeachers store. 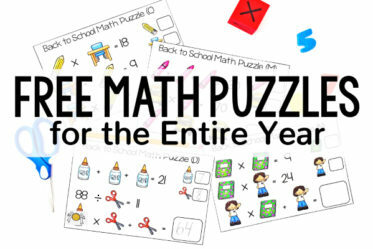 Grab all the activities shown in this post by clicking on the image below. 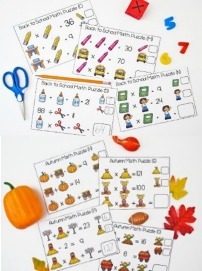 Each printable or template is labeled with the story somewhere on the page. 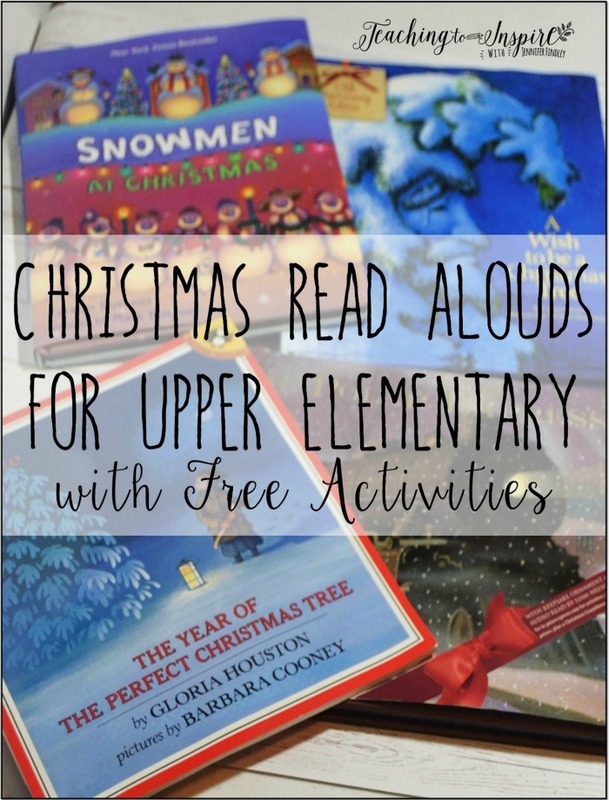 What are your favorite Christmas read alouds for upper elementary students? I am always looking for more to add to my collection. Thanks for sharing these. Most are new to me. I like reading Welcome Comfort by Patricia Polacco. You are very welcome! I have that book, too! I might include it in a round up next year. It kinda makes me teary eyed! I just read that one to my 3rd graders yesterday. They loved it. You can also discuss the different types of birds in A wish to be a Christmas Tree! 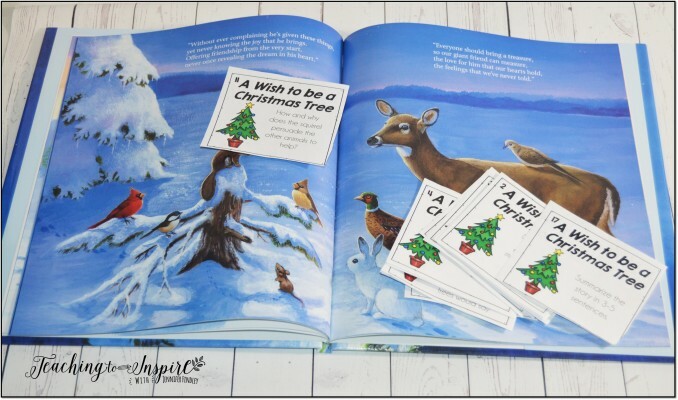 can I find the A wish to be a Christmas Tree cards on your TPT store? 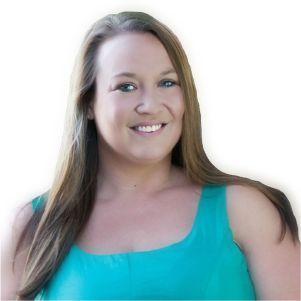 Hi Katie, they are linked in the post above. Click the purple button that says Download Here.